Howland Cultural Center Celebrated its 20th Annual Hispanic-American History Month. 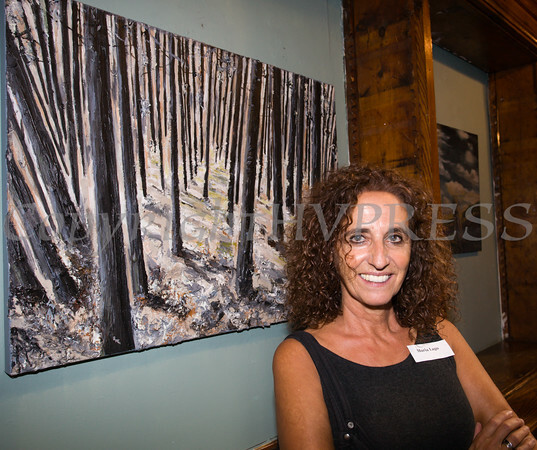 Artist Maria Lago in front of her work "Between Birches" at the Howland Cultural Center's 20th Annual Hispanic-American History Month celebration with featured artists on Saturday, September 5, 2015. Hudson Valley Press/CHUCK STEWART, JR.